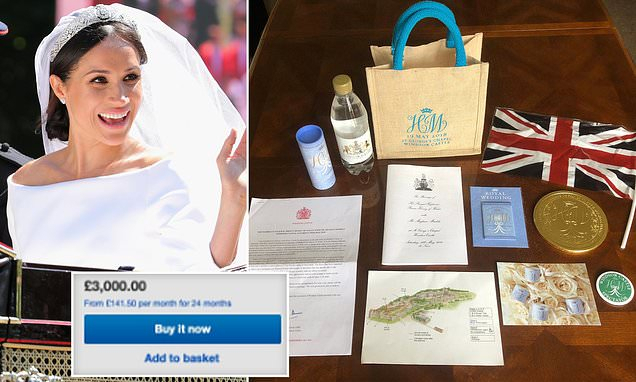 Days after the wedding, the goody bags listed online for £21,000. But now more have appeared on the auction website. One from a seller in Epsom, Surrey, is on sale for £3,000. The third, in Purley, Surrey, is on for just £150. Days after the wedding some 25 people listed their bags online, with one seemingly reaching £21,000 in bids.